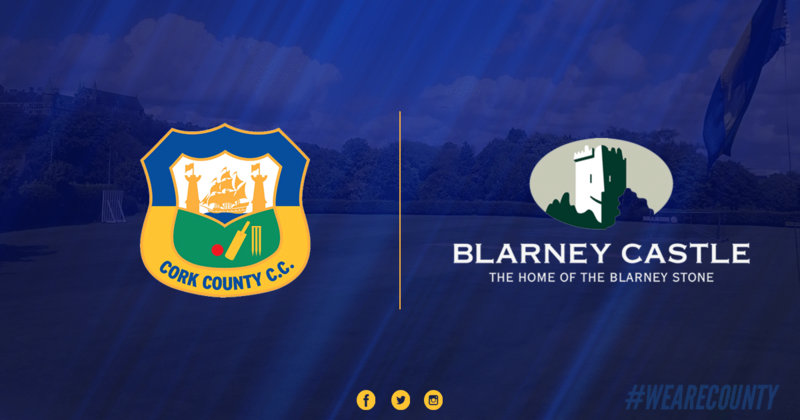 Cork County Cricket Club and Blarney Castle are delighted to announce the extension of our existing partnership. For the past three years, Blarney Castle have provided invaluable support to cricketing activities at the Mardyke, supporting players of all ages, backgrounds and abilities. This agreement sees that partnership continue for a further three years, with the famous Blarney Castle logo continuing to take pride of place on the front of the club playing shirts. Welcoming the extension of the current agreement, Cork County Cricket Club President Kieran Aherne thanked Blarney Castle for their ongoing support and highlighted the link between two of Cork’s most picturesque settings, the Mardyke and Blarney Castle.